1515 North Wells. L.P. v. 1513 North Wells, L.L.C. Description: Sixth Division March 27, 2009 No. 1-07-1881 1515 North Wells, L.P., Plaintiff-Appellee, v. 1513 North Wells, L.L.C., and Thomas Bracken, Indivi., Defendants-Appellants (1513 North Wells, L.L.C., Thomas Bracken, and 1515 North Wells, L.P., Counterplaintiffs-Appellants and Cross-Appellees; SP Development Corporation, Sutherland Pearsall Development Corporation, Mark Sutherland, Alex Pearsall and Henry Pearsall, Third-Party Defendants-Appellees and Cross-Appellants). Appeal from the Circuit Court of Cook County No. 02 L 9698 Honorables Stuart A. Nudelman and Daniel J. Kelley, Judges Presiding. Description: First Division, March 31, 2008 No. 1-07-0738 23-25 BUILDING PARTNERSHIP, an Illinois Partnership, Plaintiff-Appellee/ Cross-Appellant, v. TESTA PRODUCE, INC., an Illinois Corporation, and PETER W. TESTA, an Individual, Defendants-Appellants/ Cross-Appellees. Appeal from the Circuit Court of Cook County. Honorable Brigid Mary McGrath, Judge Presiding. Description: THIRD DIVISION JUNE 13, 2007 No. 1-06-1304 3M COMPANY, Plaintiff-Appellant, v. JOHN J. MORONEY AND COMPANY, Defendant-Appellee. Appeal from the Circuit Court of Cook County. No. 05 M 21530 The Honorable Susan Ruscitti-Grussel, Judge Presiding. Description: Fifth Division March 13, 2009 No. 1-07-1209 and 1-07-1232 (Consolidated) ABN Amro Mortgage Group, Inc., Plaintiff-Appellant, v. Nona L. McGahan; Unknown Heirs and/or Devisees of Nona L McGahan Jarvis Court Condominium Association; Coinmach Corporation a/k/a Macke Laundry Services; and Unknown Owners and Non-Record Claimants Defendants-Appellees. Appeal from the Circuit Court of Cook County. No. 96 CH 17856 Honorable Darryl Simko, Judge Presiding. ABN Amro Services Company, Inc. V. Navarrete Industries, Inc. Description: SIXTH DIVISION June 22, 2007 No. 1-06-2116 JO ANN ABRUZZO, Independent Administrator of the Estate of Joseph Furio, Deceased, Plaintiff-Appellant, v. THE CITY OF PARK RIDGE, a Municipal Corporation, Defendant-Appellee. Appeal from the Circuit Court of Cook County, Illinois. No. 05 L 11789 Honorable Kathy M. Flanagan Judge Presiding. Description: No. 3--06--0656 Filed January 14, 2008 in the Appellate Court Of Illinois Third District, A.D., 2008 ACME MARKETS, INC., Plaintiffs-Appellants, v. KAREN CALLANAN, County Treasurer and ex-officio County Collector of Will County, Illinois, Defendant-Appellee, Appeal from the Circuit Court for the 12th Judicial Circuit, Will County, Illinois Docket No. 02-TX-205 Honorable Herman A. Haase, Judge, Presiding. Description: FOURTH DIVISION October 11, 2007 No. 1-05-3911 HECTOR ADAMES, JR., and ROSALIA DIAZ, as Co-Special Administrators of the Estate of Joshua Adames, Deceased, Plaintiffs-Appellants, v. MICHAEL F. SHEAHAN, in his Official Capacity as Cook County Sheriff, BERETTA U.S.A. CORPORATION, and FABBRICA DARMI PIETRO BERETTA S.P.A., Defendants-Appellees. Appeal from the Circuit Court of Cook County. No. 01 L 05894 Honorable Carol Pearce McCarthy, Judge Presiding. Description: No. 3-06-0085 Filed September 13, 2007. IN THE APPELLATE COURT OF ILLINOIS THIRD DISTRICT A.D., 2007 ADDISON INSURANCE COMPANY, Plaintiff-Appellant, v. DONNA FAY, as Independent Administrator of the Estate of Justice Steven Carr, as Special Administrator of the Estate of Everett Lee Hodgins, Jr., Deceased, and DONALD PARRISH, d/b/a PARRISH BLACKTOP, INC., Defendants-Appellees. 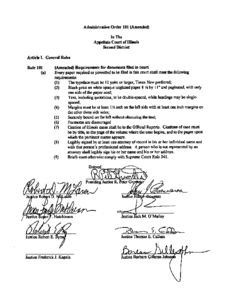 Appeal from the Circuit Court of the 12th Judicial Circuit, Will County, Illinois, No. 01-MR-717 Honorable Herman Haase, Judge, Presiding. Description: The First District of The Illinois Appellate Court administrative and procedural rules. Description: The Second District of the Illinois Appellate Court administrative and procedural rules, amendment clarifying requirements for documents filed in court. 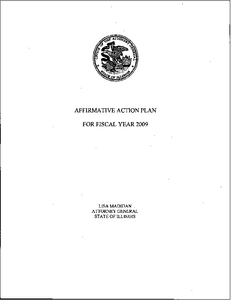 Description: Illinois Attorney General Affirmative Action Plan for Fiscal Year 2009. This publication contains EEO information such as Workforce Analysis, EEO Certification, Classifications,Sexual Harassment policy, Equal Opportunity and Discrimination Policy, Disabilities, Applicable EEO Laws, Exit Interviews, and Explaination of terms. Description: Illinois Attorney General Affirmative Action Plan for Fiscal Year 2010. This publication contains EEO information such as Workforce Analysis, EEO Certification, Classifications,Sexual Harrassment policy, Equal Opportunity and Discrimination Policy, Disabilities, Applicable EEO Laws, Exit Interviews, and Explaination of terms. Description: Illinois Attorney General Affirmative Action Plan for Fiscal Year 2009. This publication contains EEO information such as Workforce Analysis, EEO Certification, Classifications,Sexual Harrassment policy, Equal Opportunity and Discrimination Policy, Disabilities, Applicable EEO Laws, Exit Interviews, and Explaination of terms. 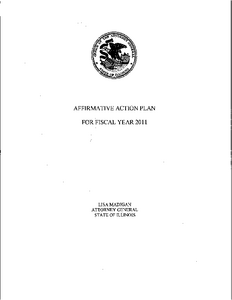 Description: Illinois Attorney General Affirmative Action Plan for Fiscal Year 2012. This publication contains EEO information such as Workforce Analysis, EEO Certification, Classifications, Sexual Harassment policy, Equal Opportunity and Discrimination Policy, Disabilities, Applicable EEO Laws, Exit Interviews, and explanation of terms. 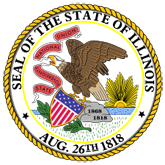 Description: Illinois Attorney General Affirmative Action Plan for Fiscal Year 2013. This publication contains EEO information such as Workforce Analysis, EEO Certification, Classifications,Sexual Harassment policy, Equal Opportunity and Discrimination Policy, Disabilities, Applicable EEO Laws, Exit Interviews, and Explanation of terms.